Today we’re heading up for an annual tradition of sorts we have tried to stick to more often than not over the years I have been with Luke, that we started early in our dating relationship- heading up to the beautiful Vail Valley of Colorado for the Fourth of July. There have been a few years we’ve missed, but it is one of my favorite places on earth, and has quickly become one of the kids top spots, too. We like to hike, bike, play in the fresh mountain air, and relax at grandma and grandpa’s place that sits just outside the entrance to Beaver Creek. 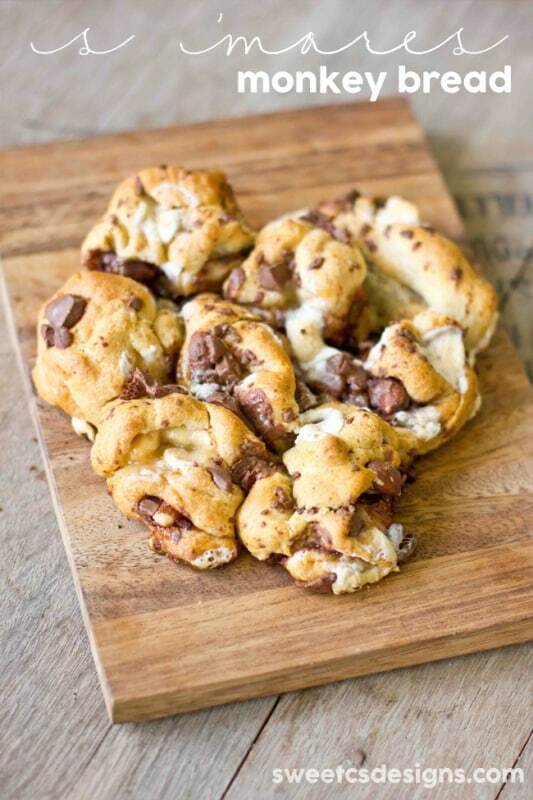 And we love to eat delicious summer food- like this s’mores monkey bread! 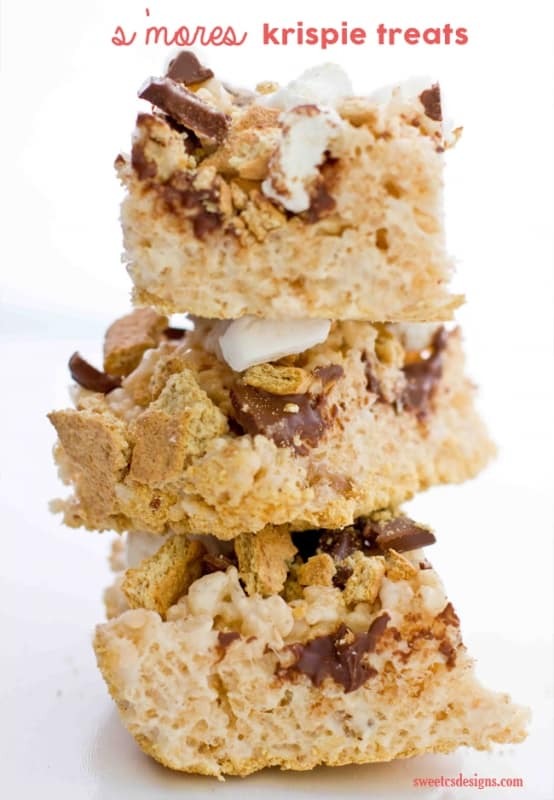 Getting ready for our annual mountain trip got me in the mood to share some delicious treats centered around the official snack of summer- the s’more- and I’m also sharing some delicious s’mores rice krispie treats over on Bombshell Bling. 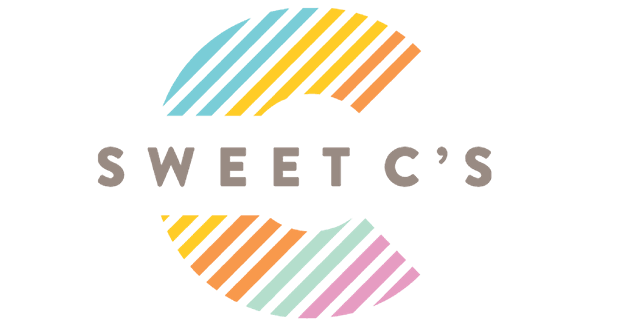 Be sure to head on over and check them out- they are so easy to make and delicious! 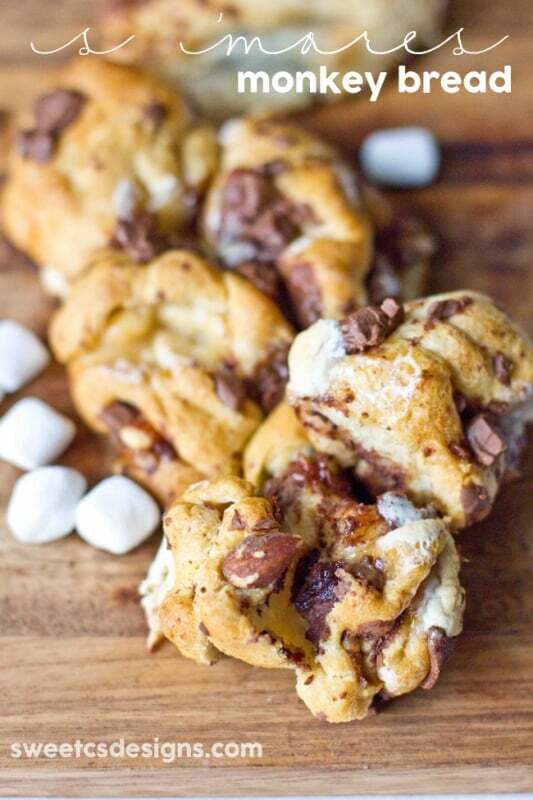 This s’mores monkey bread is chocolatey, graham cracker-y, and full of ooey gooey marshmallows. 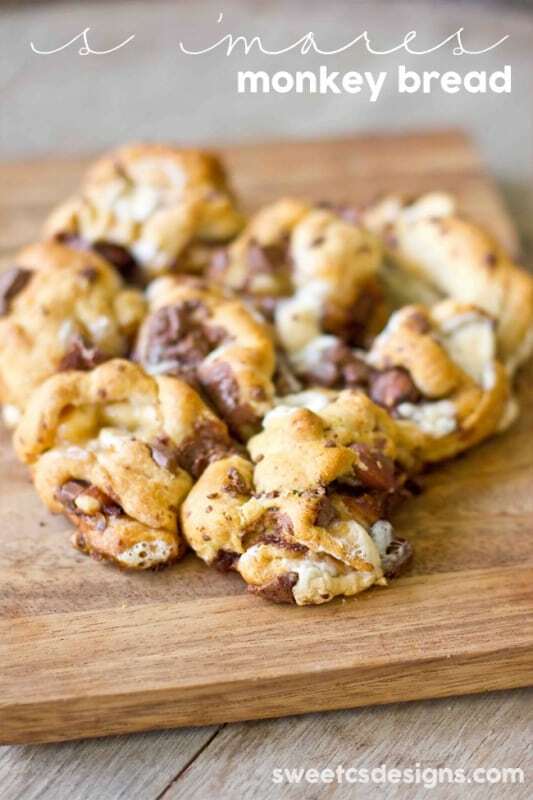 This is a delicious breakfast treat- or even a slightly less sweet dessert that is sure to thrill your favorite s’more lovers! Generously coat a pan in cooking spray or butter. Tear crescent rolls in half. Crumble graham crackers and chocolate bars, and add to a bowl with marshmallows. Toss to mix. 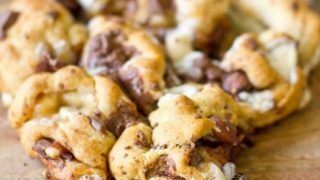 Roll crescent rolls into lumps while rolling in chocolate, graham crackers and mallows. When you've rolled all the balls and smushed them together in a pan to make a monkey bread shape, pour any leftover toppings over them. Bake in a preheated oven at 350 until bread is puffy and golden brown. I LOVE monkey bread!! I have never tried making it though. It sounds so simple, so I think I just might! Thanks for sharing! Courtney, this looks bizarro good! I can’t believe how easy it is too. Totally doable and sure to be devoured in no time.